Comcast withdrew from the bidding for 21st Century Fox, leaving the Walt Disney Co. as the victor. That leaves the entertainment behemoth Walt Disney Co. as the victor, a status expected to be ratified by Fox shareholders on July 27. The victory arrived at a steeper cost: Disney raised its bid from an initial $52 billion in an all-stock deal to $71 billion, which includes cash. Though Rupert Murdoch and his sons were allied with Disney Chairman Robert Iger in pursuing a deal, they stand to make far more money this way. The acquisition is to include Fox's movie and television studios, its cable properties such as FX and the National Geographic Channel, and its 39 percent stake in the British based satellite TV service and producer Sky. It would not include Fox News, the Fox broadcast network, the local TV stations it owns, or its sports networks. Those would be spun off into a new company controlled by the Murdoch family and led by Rupert Murdoch and his elder son, Lachlan. "I'd like to congratulate Bob Iger and the team at Disney and commend the Murdoch family and Fox for creating such a desirable and respected company," Comcast Chairman and CEO Brian Roberts said in a statement released Thursday. The decision to sell most of Fox was driven by Rupert Murdoch's growing conviction that his entertainment empire was to be swamped by fare from streaming giants Netflix and Amazon, which are committing growing billions of dollars for fresh video content each year. Apple is expected to join their ranks. Iger's ambitions for expansion are sparked by the same fears. He intends for Disney to remain as one of the few Hollywood giants left standing to compete with their digital competitors. As Disney already owns the ABC Television Network, ABC News and a cluster of major ABC-affiliated stations, the acquisition did not include the comparable holdings of Fox. Similarly, Disney's ownership of ESPN precluded the purchase of Fox's sports holdings, which include two national channels and many popular regional sports channels. A top U.S. Justice Department official, Makan Delrahim, praised the deal as being carefully sculpted to avoid antitrust concerns, signaling federal regulators were unlikely to block it. That stance is all the more notable given his continued efforts to kill on antitrust grounds the AT&T acquisition of Time Warner, a combination of a telecoms giant and an entertainment powerhouse that have little overlapping commerce. The Justice Department is appealing a judge's ruling that swept aside all objections to the AT&T/Time Warner merger. One key difference: President Trump has repeatedly expressed his contempt for CNN, newly acquired by AT&T, and had said on the campaign trail in 2016 he intended to prevent the deal from taking place. By contrast, Trump and Rupert Murdoch confer regularly by phone, with Murdoch offering counsel in their talks and his Fox News' most popular shows offering cheerleading coverage. 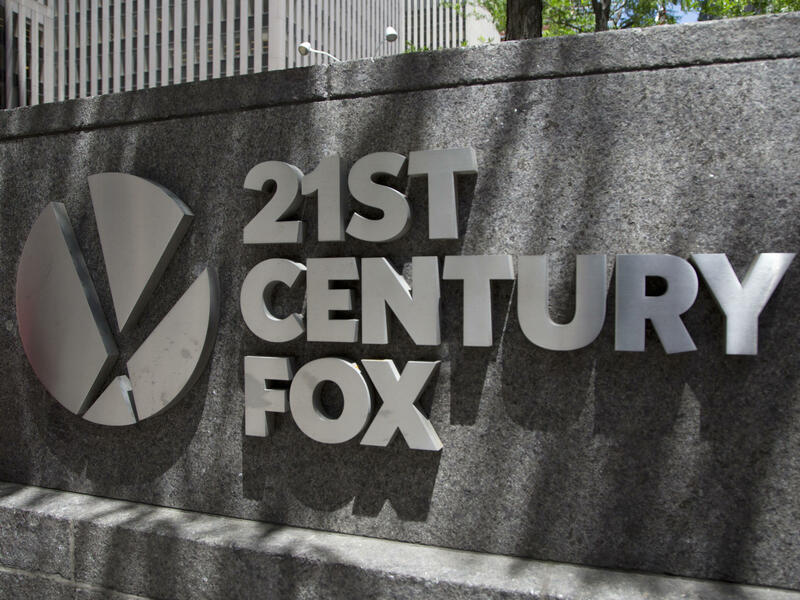 Even as the battle over 21st Century Fox appear to have abated, battles continue abroad, in Comcast vs. Disney 2. Iger and Disney have coveted Fox's path into international markets. Sky has major offerings, not just in the U.K. but in Germany, Italy, Austria, Spain and Ireland. 21st Century Fox and the Murdochs own a controlling 39 percent of Sky. Rupert Murdoch founded its predecessor company in the 1980s and sold off a majority of the ownership to address debts. For nearly a decade, the Murdochs have sought to buy the rest of the company back, only to be tripped up by scandals at their British tabloids in 2011 and slowed down once more over the past year by the sexual harassment scandals and Seth Rich coverage of Fox News, among other incidents. Once Disney moved to buy Fox, Sky would be part of the deal. British regulators required Murdochs to sell off the respected Sky News service if they were to win full control of Sky, and to agree to pay to keep it fully funded for at least the next 15 years. Only in recent weeks has the U.K. government formally signed off on the acquisition. But Brian Roberts and Comcast have been competing against Fox for the remaining 61 percent of Sky, driving up the value of the deal so far to $32 billion. That also holds the prospect of boosting the cost of the overall Fox deal to Disney, as it intends to buy up all of Sky if the Murdochs prevail. Many market analysts have concluded Comcast and Disney may reach a truce without even exchanging a word in private, carving up Fox's domestic holdings for Disney and allowing Comcast to take control of a majority of Sky's assets. But Fox is now serving as a stalking horse for Disney's interest in Sky. And asked Thursday morning if the Comcast announcement in any way diminished Fox's appetite for Sky, a Murdoch spokesman emailed to NPR a one-word response: "Nope."